One of the most important aspects of your college search is finding a college that is a great fit with your personal and academic interests. 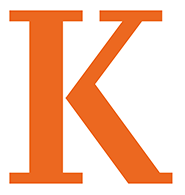 Attending a K Open House is an excellent way to be introduced to the College and will offer you the opportunity to visit campus and to meet with some of the admission staff along with other members of the K community. Want something a little more personal? Register for an Individual Visit. Plenty of opportunities to ask questions!